Pingback: Tom Thomson and the Group of Seven | On The Road with Ms. M.
Thank you so much for the mention, Tom. 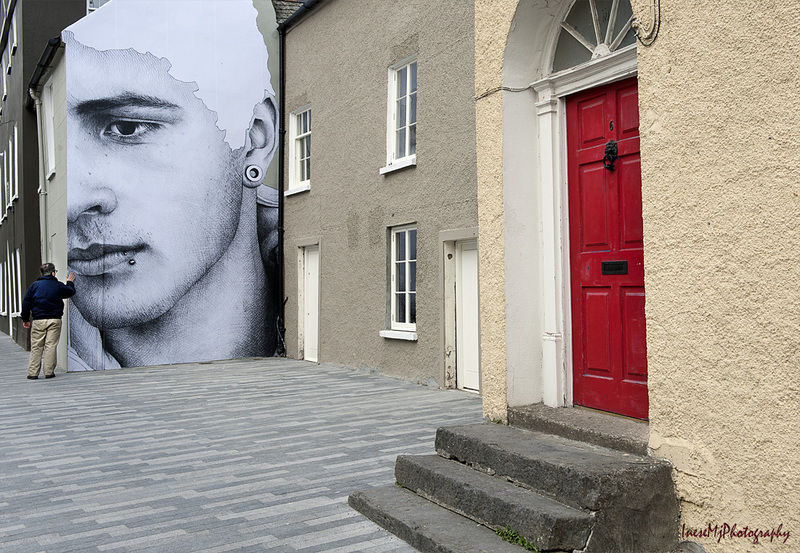 Beautiful temporary street art from Waterford, Ireland, as found on Inese’s blog. It might be gone but it’s not forgotten. Thank you for spreading a word, Jean! I didn’t know about this. 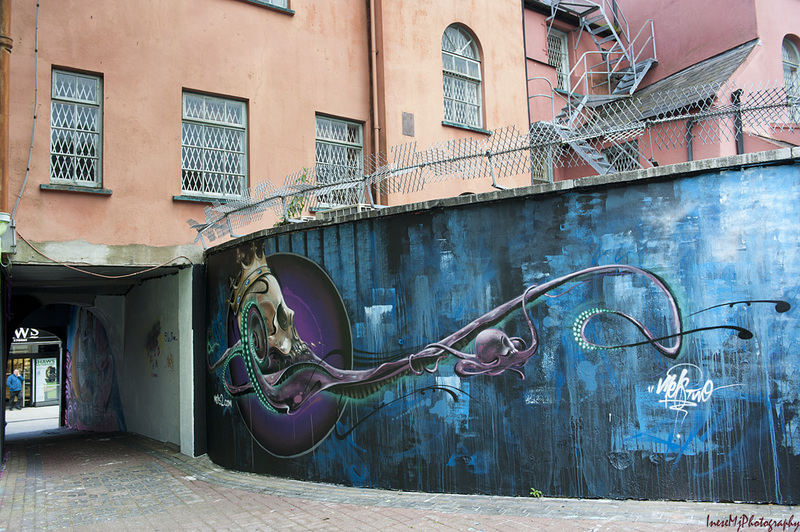 Fabulous street art, I just have to reblog. Thanks, Inese. Hello, R U on Twitter?? If you are, plz come see me?? Thank you Rob! These walls have no historical importance except the ones with the big portraits. No harm done though – the rain is washing away the painting. I am taking photographs every three days to see how the paper peels off. I walked past one of the murals today. We had a few rainy days, and the paper started to peel off 😦 Pity. I love your photos. 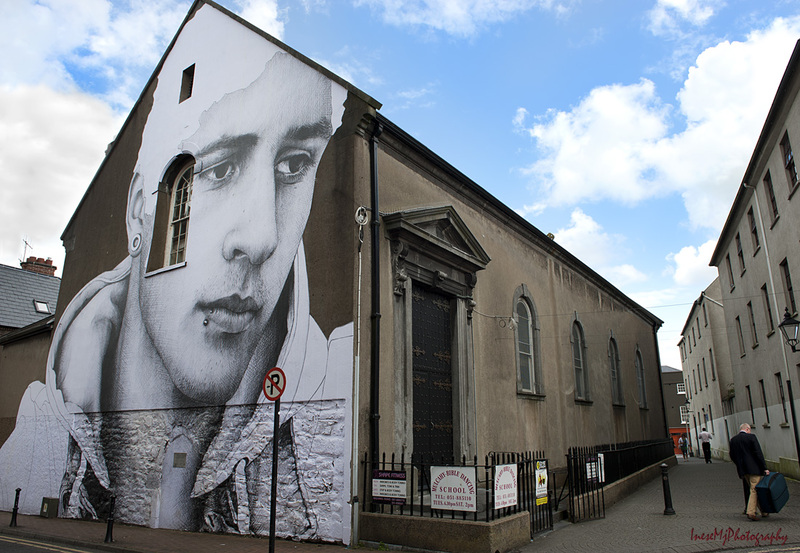 Murals are a wonderful way to make an ordinary building/street exciting. Thank you Cindy! Exciting, exactly! They put a smile on people’s face. Amazing. The artwork Is stunning . So are your photographs of it. Stunning photos and what beautiful way to decorate the town. Loved the portrait and the Hall one. Many thanks for the follow, I will enjoy looking around your blog. Hi Inese! Looks like a lot of people liked the blog post as much as I did. What a great place to be – what creativity in those paintings. Simply amazing! Thanks for sharing! Thank you for taking a walk! 🙂 I too love murals. I don’t mind creative people adding a touch of color and giving new life to our relics. Irish people love colors. They paint their doors and walls in the brightest hues of red, yellow, blue and purple to make up for the lack of sun. Beautiful. I unfortunately only knew this city as a blur on a bus, so it’s cool to see its transformation one moment at a time. Do you think other cities will take on such a scale of a project? 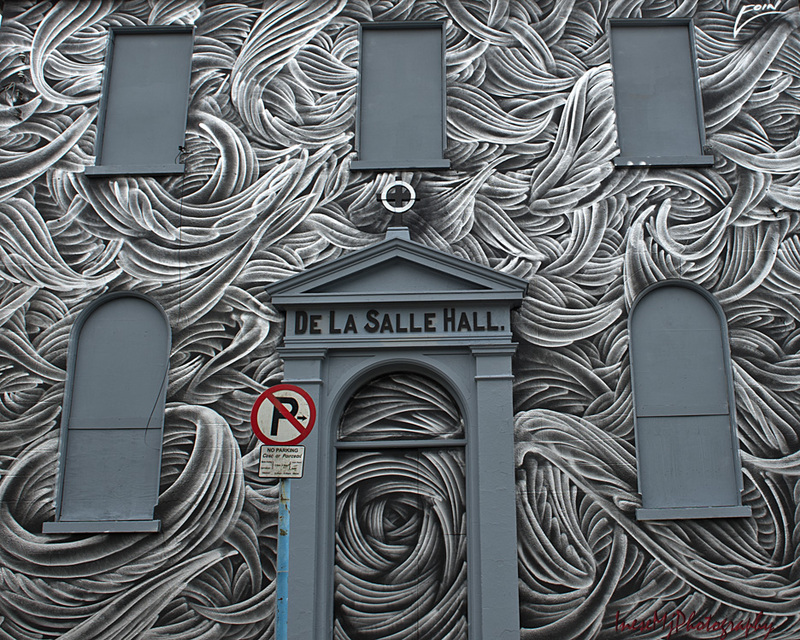 And I do believe the De La Salle Hall must be my favorite–like a brush on spilled ink. Thank you Jean! 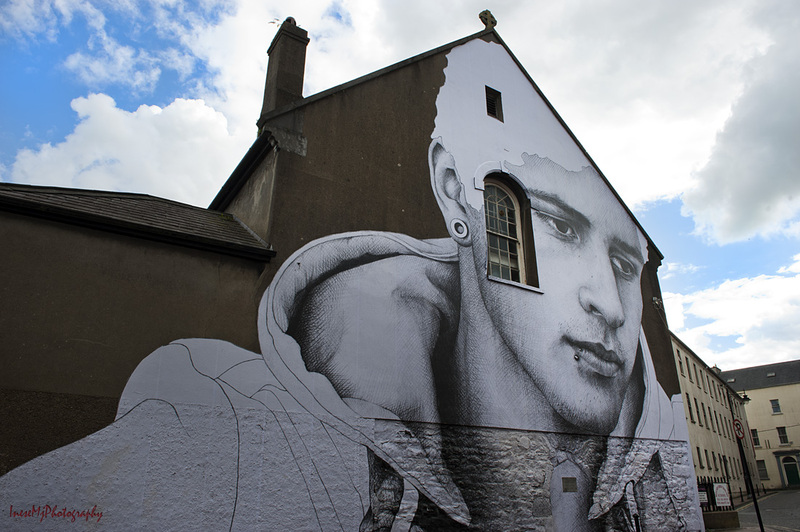 Joe Caslin’s murals can be found in Dublin and other bigger cities. He dedicated this project to the less fortunate young men from disadvantaged backgrounds. Ooooh, yes, precisely! Now that’s all I’m going to think of when I see that image, which is perfect! Inese – You’ve treated us to a wonderful walk. I’m overwhelmed by the growth of your blog with the number of followers, not to mention the number that leave comments. You do a magnificent job in putting your blog together and it’s always interesting. Job well done. I’ve never heard of mural’s painted on paper before and such splendid murals at that. Even if they weren’t as good as they are, they would still have a sense of urgency about them. Awesome, I say. Sheri – thank you so much for your kind comment! You know that your Traveling blog was my stepping stone into the blogging world 🙂 This is all thanks to your kind support. I am watching the murals, and I have noticed that some parts started to peel off, especially in the places where the wall isn’t smooth. I have never heard of this technique before. Why they are supposed to be such short-living, I don’t know. 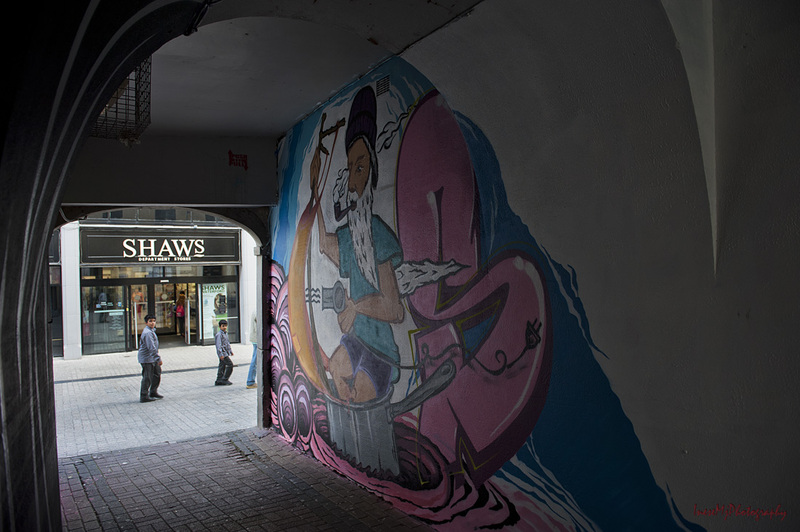 The other murals will stay a year. 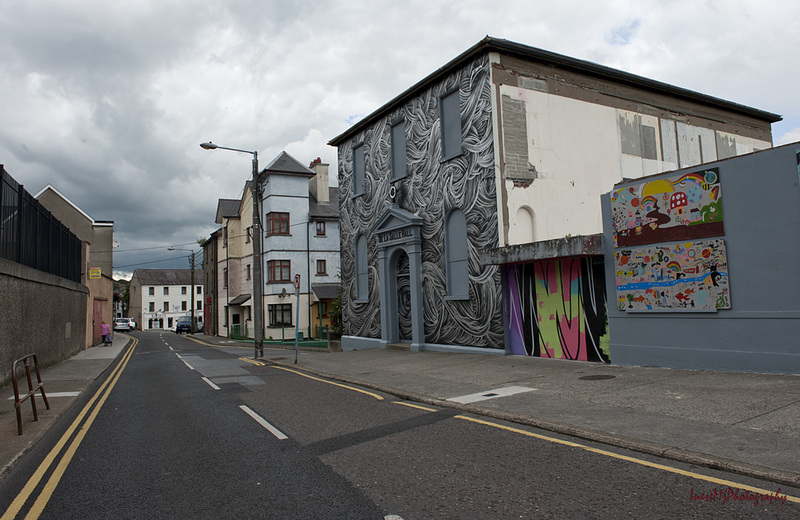 There are many more great murals in town. Thank you again! Have a good and productive week! 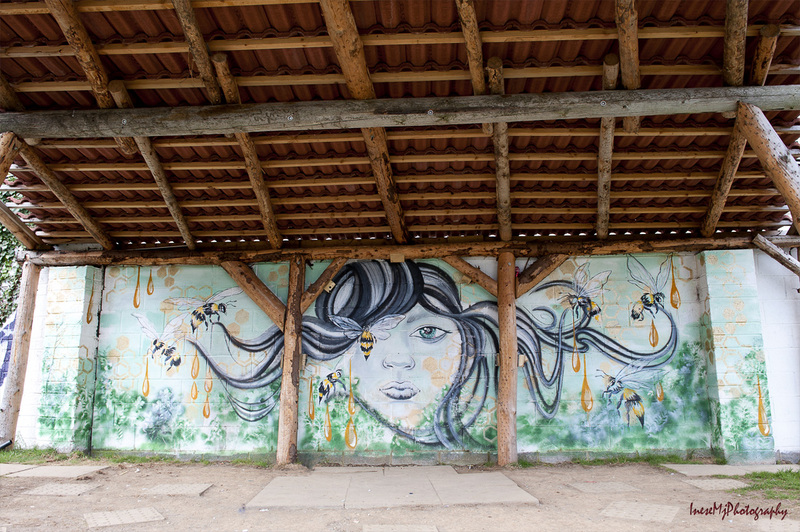 There are something about murals that can take my breath away…usually it is the location where I would not expect anything and then to find something incredible there blows me away. Your series here are such shots. Thank you! 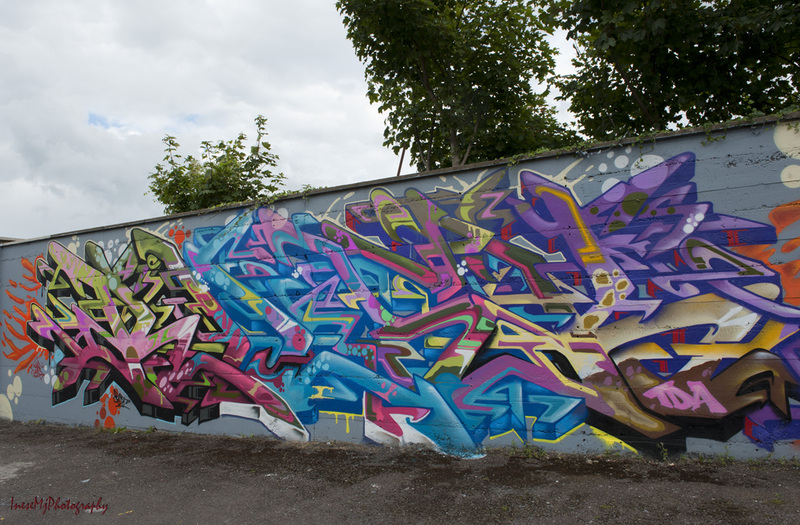 There are much more street art works in town. Joe Caslin’s Young man is something special. 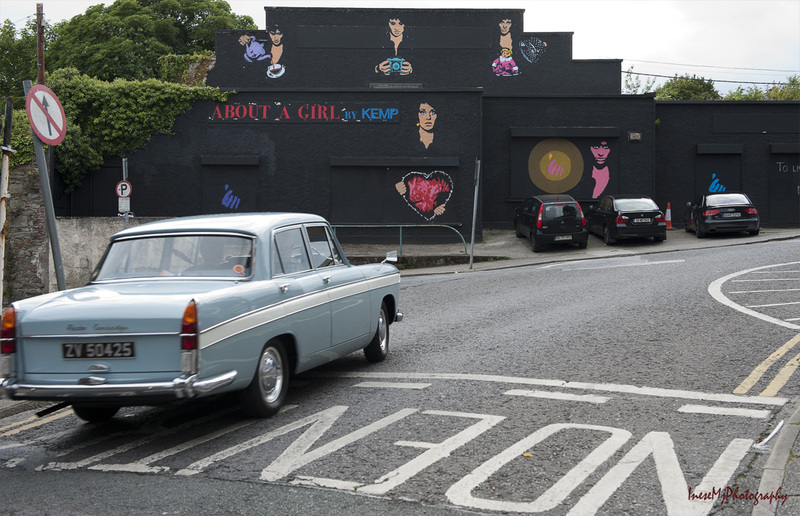 Joe has his works installed in Dublin and other major cities in Ireland. They are really impressive. I really enjoyed the various murals. My two favorites were the “set” of gray walls surrounding what seems like visions you would see out windows. Fairly traditional taste. I liked the one for the Waterford Hospice. Beautiful garden, simply lovely, Inese. I am glad you will be going back to check on the fading or wearing away murals. Thank you so much for taking a walk! I too loved the windows! 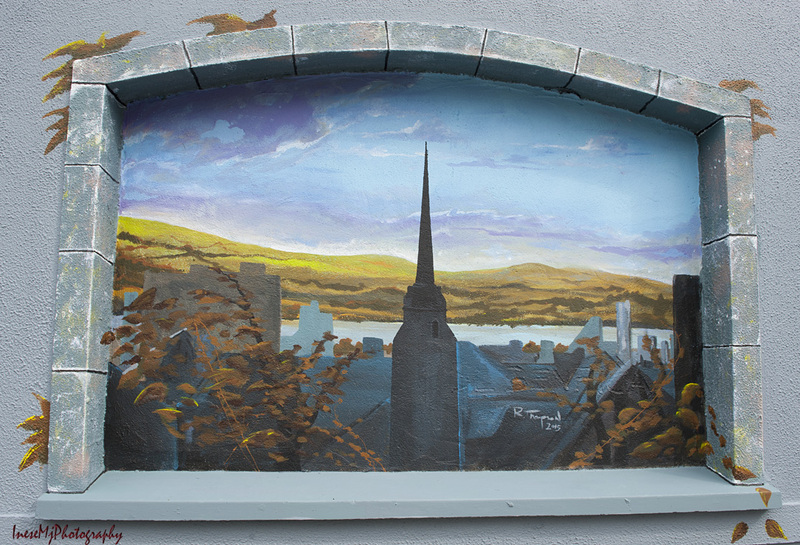 I don’t know whose work it is, but the one for the Hospice – and actually, all that wall – were painted by Lisa Murphy. I like that the real vines were included in composition 🙂 They say that these works will stay until next summer, but the works of Joe Caslin are short-living, and I will take a picture every 3-4 days until the paper is gone. Thank you for your comment! We didn’t have them either until this August 🙂 They look pretty impressive. Pity the big ones won’t stay long. Our city just sponsored one downtown. Thank you for your comment, Indah! I absolutely agree with you! I even changed my route to pass by these huge portraits more often. They are the ones that will fade away. The smaller ones will stay. Wonderful pictures – great street art!! 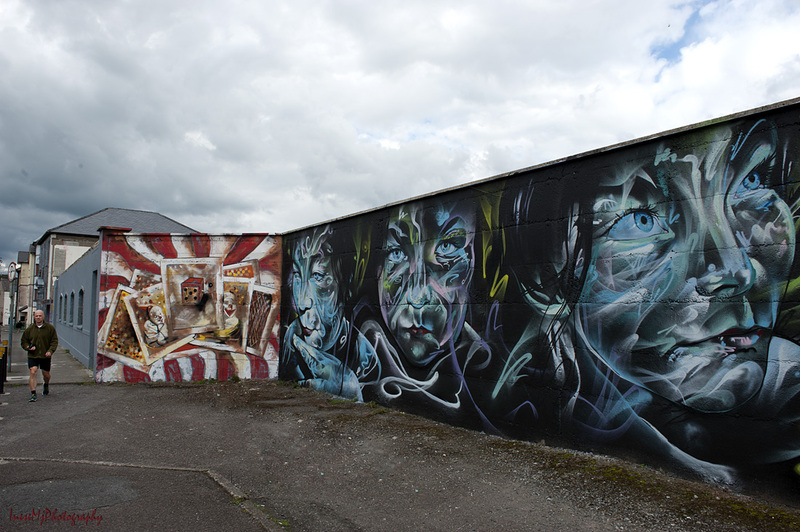 Great murals. Thanks for sharing. Thank you for taking a walk, Cynthia! What a great project for the community to get involved in. I would love to see the surface of the paper degrading overtime. I wonder if you would be able to get back to photograph the same buildings on multiple occasions during the process? I am assuming of course that they don’t just peel off in sheets. Thank you for stopping by! Yes, I am going to take pictures when the mural starts degrading. I was there today but didn’t see any changes. They say, after 6 weeks, but I will wait until the first rain to start recording. Thank you for stopping by! Yes, there are many, but the portraits are really impressive. Absolutely captivating, Inese!! Pressed to re-blog later! It is a shame they will go away in a couple of weeks…brilliant work! I think the same, Patrick. Could stay over the winter. They make these buildings more personal. Thank you for stopping by! Lovely, I’ll have to look for them when we get to Waterford. 20 days and counting! Woo! Pray for the weather. The rain started and will be on a few days. Then another dry week. Fingers cross! Inese, I love this post!!! 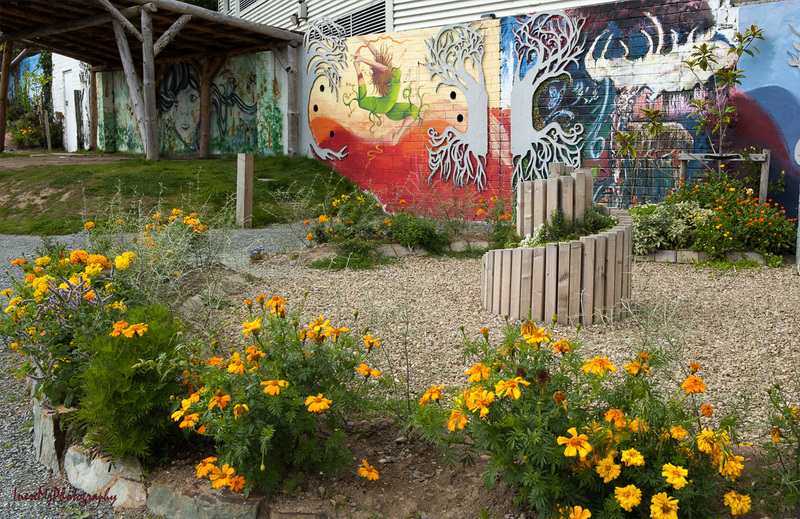 What a great project — putting up artwork everywhere, making drab things beautiful. It does seem a shame for something so lovely to be temporary, though. Thanks for sharing this with us! Hugs. Thank you so much for your comment, Teagan! They say that this paper lasts up to 6 weeks. Two weeks have already gone. I will take pictures every three days to see the changes. I can’t take my eyes off of these pieces! I can’t imagine the impact in person. Amazing! I love them already. They both are just 2o sec walk from where I live. I will take pictures of them as they deteriorate. 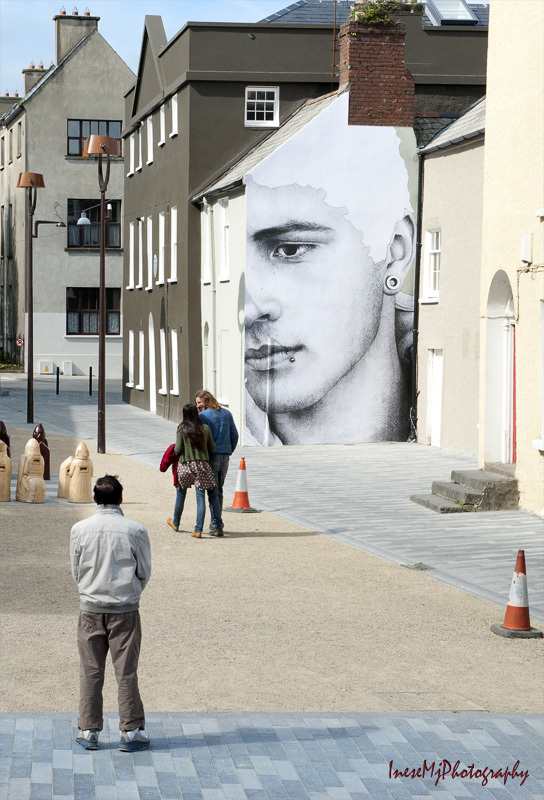 Amazing art in Waterford. I am going to be there in two weeks time. Looking forward to seeing some of it. Hope the big paintings are still intact. It is Cathedral Square and Olaf Street. A fascinating project, Inese. For my Streets of London series I photographed a corner off Portabello Road, featuring a bare wall. 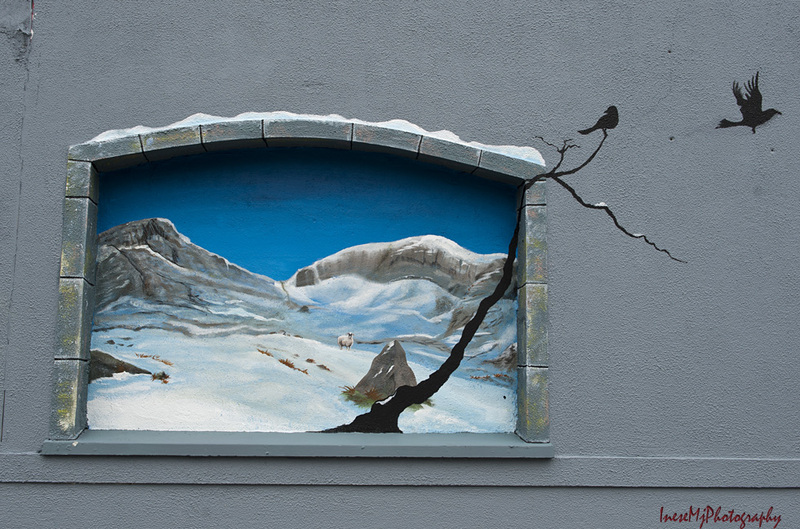 Three days later, a new Banksy on the wall, prompted me to photograph it again. Later that day a perspex shield was placed over it. 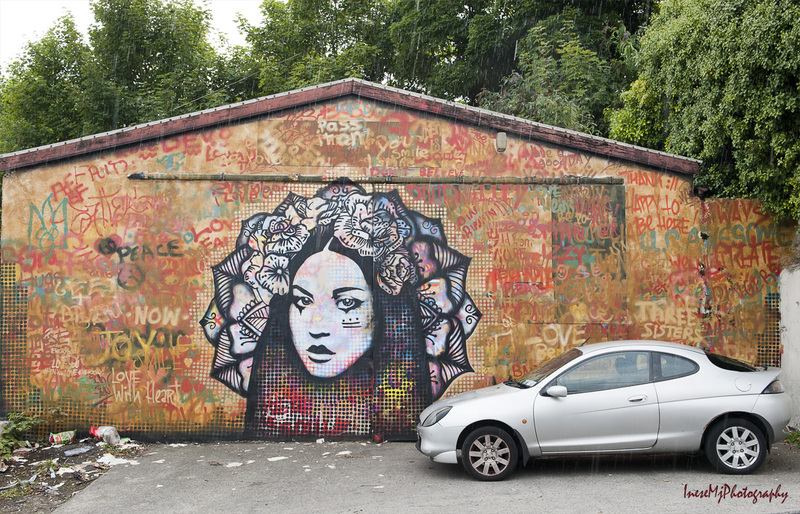 Wonderful street art Inese. I’m so glad you have a permanent record of it considering it’s short life. I’d hate to be such a great artist and see my work dissolving in the rain. David, I too 🙂 Yet, it is only a big copy of a smaller work they still keep in their studio. It is only a matter of paint used for this work 🙂 They can do it again, it is not an improvisation, I guess 🙂 Thank you so much for reading and commenting! Hugs and best wishes!!! 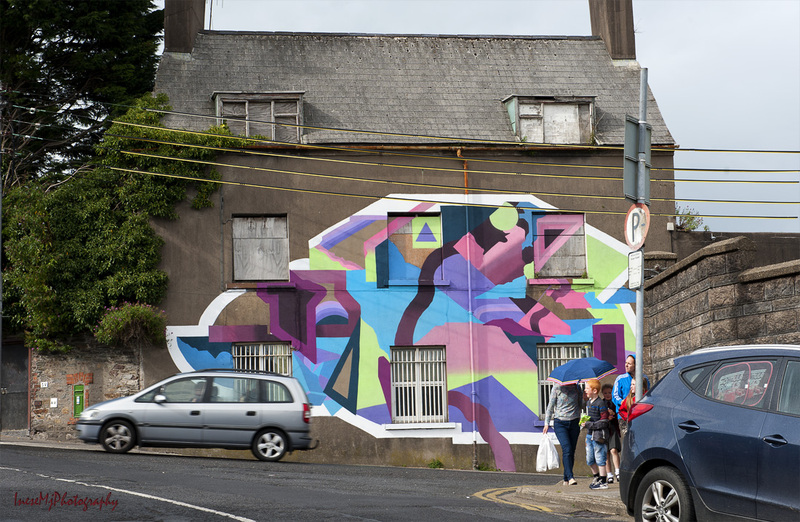 Waterford’s historic walls and towers are a defining feature of the southeastern city, but more recently the area has also acquired a more troubled name. 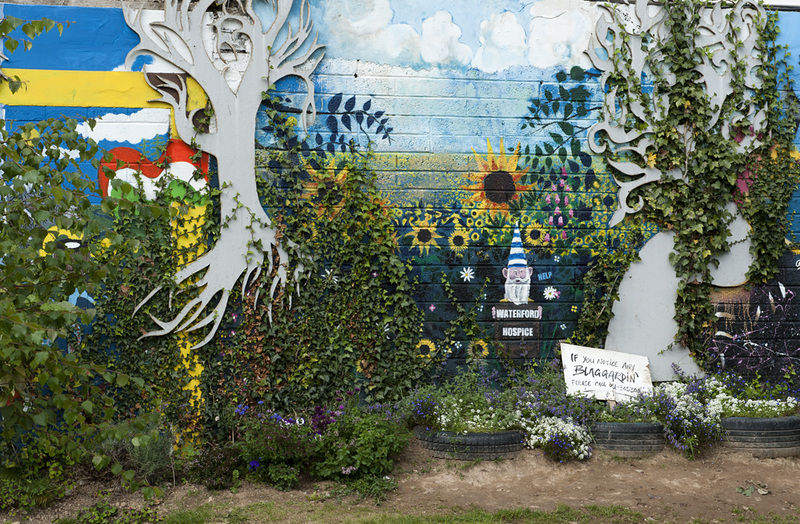 A new summer festival aims to use one to help restore the other, and to do it through a medium once associated with vandalism: graffiti or, more properly, street art. I love the artwork here! This is beautiful, thank you for sharing it. Thank you for this amazing tour! I love the one of the girl with her bees! Love the work of Joe Caslin ! Thank you! You can check out the link. More amazing works. They are great works. I like murals or wall arts. There are only a couple of places here. The concept of degradable in few weeks are totally cool. New art works can replace the one very easily. That would be nice. I think they will continue to improve the materials. I am wondering what it looks like when it stars to fade away.